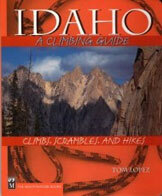 Climbing information for this peak is found on pages 220 and 221. 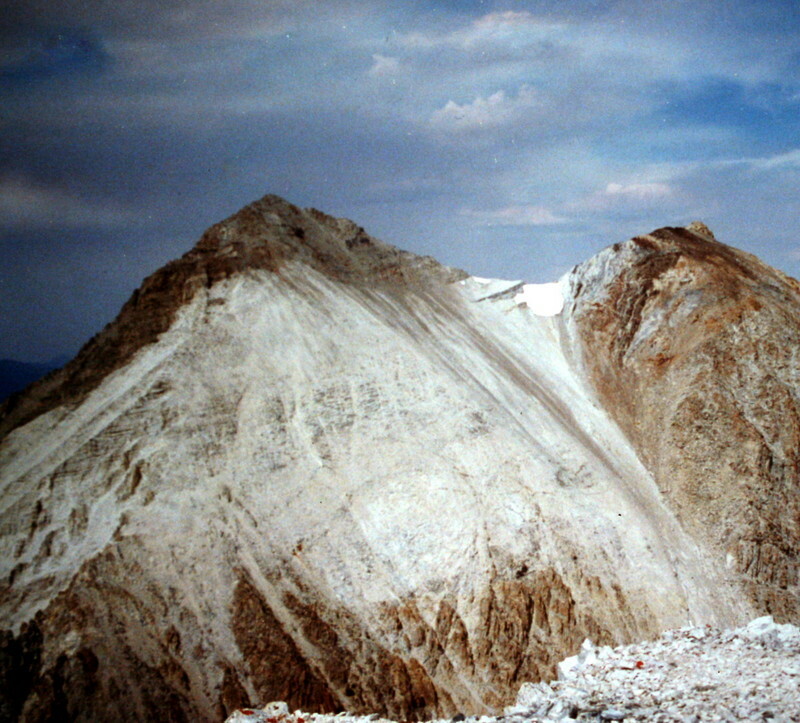 This peak is now officially known as Calkins Peak and is named for Stephen Calkins (1842-1922), who established lode claims in the area. 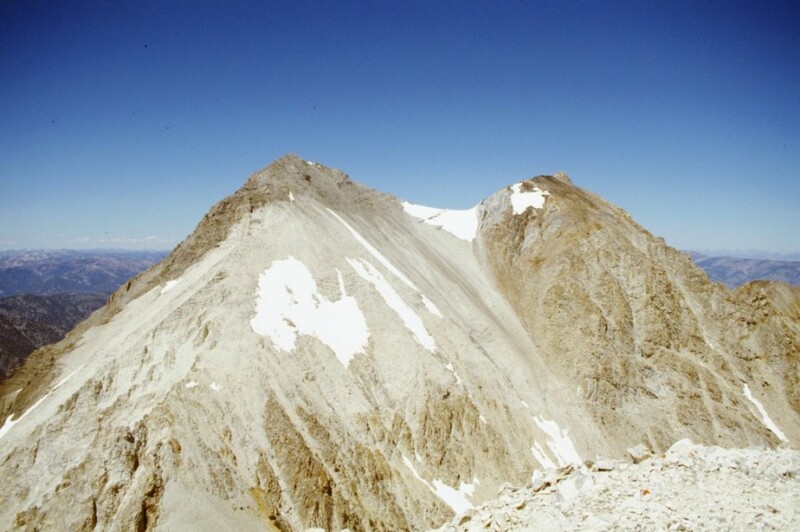 This White Cloud Mountains peak is a popular peak and easily accessed from The Boulder Chain of Lakes area. 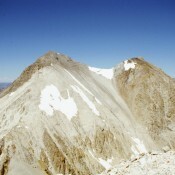 The south side of Caulkens Peak. Caulkens Peak from Sapphire Lake. 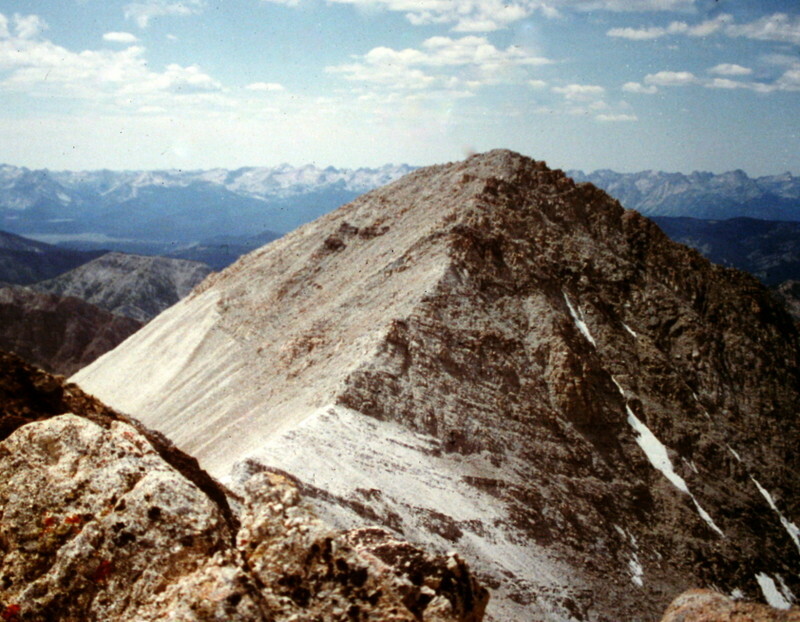 Caulkens west summit viewed from its east summit. 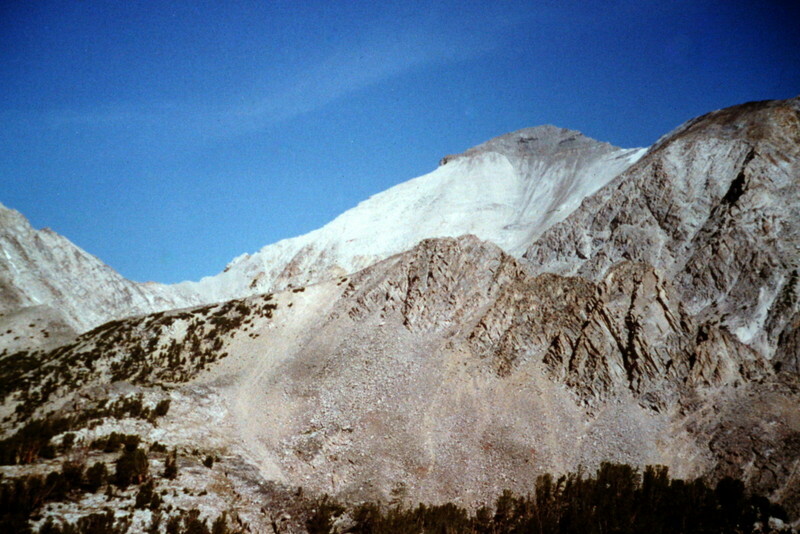 Caulkens Peak viewed from WCP-9.